In this 100 Day Marathon Plan review I am covering off on Marius Bakken's new methodology to get yourself all prepared for a marathon within 100 days. One of the goals of most runners around the world is to be able to complete long distance runs, like marathons. Most of us would already be happy if we were able to complete the run since covering the distance alone can be very challenging. Does Marius Bakken's method to set you up for marathon success in 100 days cater for you? Yes it does. It covers everything from "just" finishing to doing it in 2 hrs and 45 minutes. The 100 Day Marathon Plan is different from other running programs. Therefore, let's have a look at his method in more detail and see if it is right for you. Marius is a former Olympian. In his top days he was the fastest non-African runner on the 5k. During those years he trained with and learned a lot from the Kenyans. He went to Kenya numerous times and all together spent about a year in Kenya, studying the Kenyans. He also worked with the Italians and studied their methods to prepare optimally for big events. The Italian men have won two out of the last six Olympic marathons. This is remarkable given the top marathons all over the world are completely dominated by the Kenyans. Winning the biggest, most important marathon on two out of the last six occassions is more than just coincidence! Most of the marathon plans found in the market today are very focused on mileage. The cornerstone of those programs is lots of easy runs with a weekly long run from beginning to end. Where 100 Day Marathon Plan is structurally different is that it applies the Kenyan and Italian training principles. 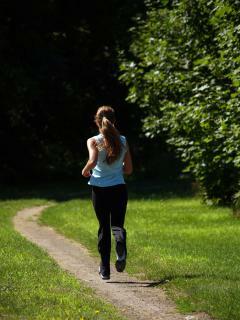 This means for one that more of the running is at a higher intensity than in traditional running programs. Kenyans are very good at increasing their lactate threshold by doing runs that are faster than conversational pace. The Italians are masters at periodization and making sure that a runner peaks at exactly the right time. Marius will let you start with doing shorter more intense work and builds it up over time. Where traditional marathon running programs are more tiring, Marius focuses on getting you ready at exactly the right time. Crudely said, the first part of the 100 Day Marathon Plan gets you ready for a 5k. It then builds it up to get you ready for 10k and half marathons. And then in the end sets you up for success in your marathon. However, don't get fooled by thinking this is easy! Marius knows like nobody else that preparation for a marathon is hard work. 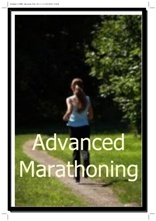 His approach is just a little more modern than the standard marathon training schedules. 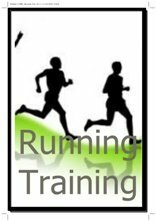 The training build-up is more gradual than in most marathon running programs. With the traditional 12 week marathon training program you can be tired already when you get to the most important part of your marathon training. The benefit of the 100 Day Marathon Plan is that you will get to this stage still hungry and fresh, which also helps you get through the program with a bigger chance of staying injury-free. When you are a marathon rookie and this is the first marathon training program you will do, this book is an excellent choice. I see too many wanna-be marathoners who need to abandon their first time marathon training because of injuries half way through. The 100 Day Marathon Plan helps prevent that. One of the most interesting parts of the program is that the long runs are set up like run/walks, where you typically spend 70% of your time running and 30% of your time walking. Marius' experience is that this still helps you achieve the benefits of the long run, but makes the long runs a lot more enjoyable and recovery after it easier and faster. This in turn means that you can do more in the days after your long run than you would do in a traditional running program. So, what are the contents of this ebook? Well, after the Introduction, the book starts off with the Philosophy, i.e. an explanation of the Kenyan and Italian training principles. It then discusses the difficulties of Picking a Schedule. How many runs do you want to do per week, what are your goals and how do you go about switching schedules half way through? Then follows the bulk of the book which covers the Marathon Training Plans followed by a chapter with "Schedule FAQs". This chapter covers anything about adjusting your schedule, what to do when you have to miss practice and what to do when you have more, or less, days then 100 days to your marathon. Following that are some more general, but not uninteresting chapters about Running Shoes, Injuries/Weight Loss and Nutrition. Especially the nutrition component is important as it explains all about the right marathon diet and carbo-loading, which can make a huge difference to how well you do in the last 10k of your marathon (when many meet the "marathon wall"). What then follows are two chapters about Race Day, with oh so important advice about pace (really need to follow Marius' recommendations here!) and some general advice about cramping, stomach cramps and other tips. Following that is a chapter about Special Marathons, split in two sections, i.e. fastest marathons and most beautiful/special marathons. If there is anything bad to say about this book, then it is probably that this section is a "bit of fluff". Having said that, it is a good overview of marathons that are either big, fast or in extremely beautiful places. Marius then covers a chapter on Heart Rate Training which provides some useful advice if you are new to heart rate training and a final chapter (like an appendix) on how to best benefit from the book, how to read the training sessions, discussing Marius' concept of Smart Strides, etc. All in all, a very complete book that doesn't leave much to the imagination. The book comes in digital format (ebook). I initially struggled with ebooks, you may be hesitant as well. But the good thing about a digital format is that it does not only contain written content, you can watch videos as well and you have access to a marathon calculator and other tools which a standard book can't provide! 100 Day Marathon Plan too Expensive? No! 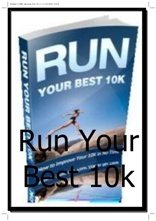 The 100 Day Marathon Plan is a great running ebook setting you up for success in the marathon in a relatively short time. As said before, the book caters for everyone, i.e. runners wanting to finish the marathon uptil runners who want to do it in 2 hrs 45 minutes. One thing that may hold you back from ordering this top-quality material is the price. You may ask yourself, why shouldn't I just grab one of the free marathon training programs I can find online? Or can I just do some Hal Higdon marathon training? Obviously, quality is a big factor here. Marius has been to the Olympics. He knows running. Additionally, I think you need to consider the time you'll invest in preparing for your marathon. Hours and hours. Every week. With that much of time invested, I think you owe it to yourself to get top-notch information. And yes, with $47,- it is a little bit more expensive than traditional running books. You need to keep in mind though that the $47,- does include help from the big man himself. 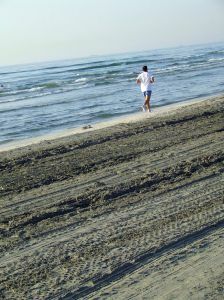 During your preparation period Marius is available to you as your personal running coach. You can ask all the questions you want. Especially when you get to that point that you need to make adjustments to your running program due to other commitments or when you have doubts about what to do next, Marius is there for you personally to guide you through. That alone justifies the price tag, let alone the top quality material that 100 Day Marathon Plan provides to you. 100 Day Marathon Plan is well organized, contains valuable information and is written electronically therefore you will be able to receive it once you hit the order button with a few mouse clicks. Another special about the ebook is that there are 25 videos included that include instructions to help you through the training schedules. 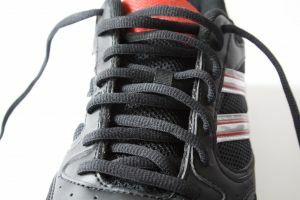 They also assist you in dealing with issues such as carbo-loading and proper stretching techniques. All in all, the 100 Day Marathon Plan is worth it for everyone wanting to do a marathon and comes highly recommended!